447 p., 15,7 x 21,2 cm. 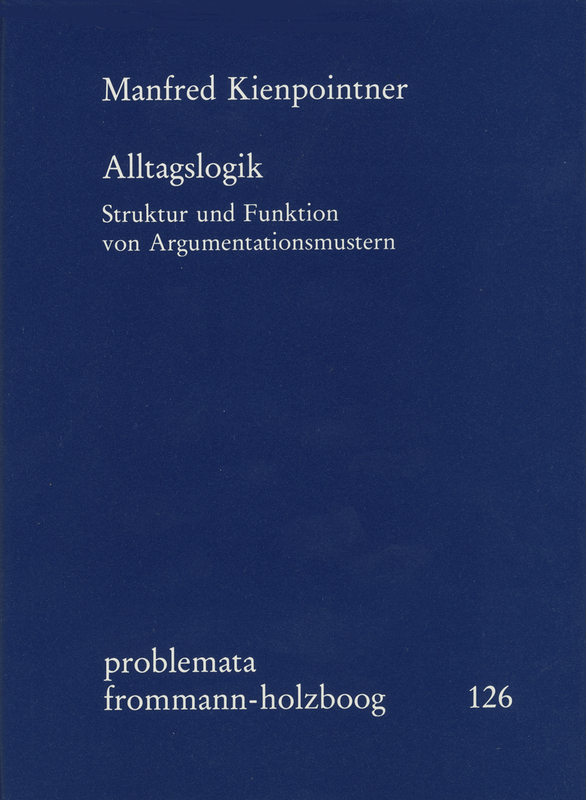 This work aims to establish a comprehensive typology of schemes of everyday argumentation. In order to clarify the central notions of »logical validity« and »plausibility«, the author discusses various logical and linguistic approaches. Following Wittgenstein’s »Usage Theory«, the authors concludes that the plausibility of everyday argumentation depends on the rules of use of (different subgroups of ) a speech community. This is empirically based on 300 passages from written and spoken everyday argumentation from various texts such as media discussions, newspaper commentaries, party propaganda and commercial texts. This work is an attempt to establish a comprehensive typology of schemes of everyday argumentation. In order to clarify the central notions of »validity« and »soundness« I discuss various logical and linguistic approaches (a.o. the intensional logic of Carnap, the theories of structural semantics of Coseriu, Lyons and Katz, the possible world semantics of Lewis, the stereotype semantics of Putnam, the relatedness logic of Walton). Following Wittgenstein’s use theory of meaning, I conclude that the soundness of everyday argumentation depends on the rules of use of (different subgroups of) a speech community. Therefore, I support a moderate relativism as far as questions of truth and probility are concerned. For my typology I take a modified version of the famous scheme of Toulmin as the prototype underlying all instances of simple (i.e., not complex) everyday argumentation. Using ancient, medieval and modern typologies of argumentative schemes, I follow mainly the tradition of Aristotelian Topics and the classical modern typology of Perelman/Olbrechts-Tyteca: according to the semantic relations (topoi/loci) which grant the transition form premiss(es) to conclusion(s) I distinguish about 60 schemes. Taking up the higher standards of explicitness in recent typological approaches (e.g. Schellens, Van Eemeren/Kruiger) I also try to develop criteria for the demarcation of argumentative schemes. I use a corpus of about 300 examples of everyday argumentation as the empirical base for my own typology. These are mostly spoken or written German, but I give also English, French and Italian examples to show the interlingual and intercultural relevance of the typology.